I had the pleasure of being booked by Affiliate World Conferences to perform close up magic during their 2 day conference at the Centara Grand – Lotus Garden, overlooking the city lights of Bangkok right in the capital of Thailand! There were a mixture of international attendees so my visual and interactive magic was a great icebreaker for everyone from the affiliate entrepreneur guests to the promotional staff models with the vendors. Magic in the humidity of Bali, Indonesia! 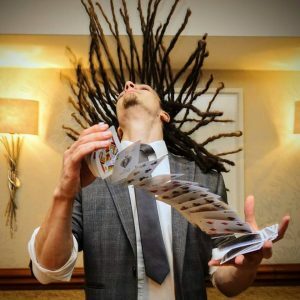 I’d just travelled to Bangkok from Bali in Indonesia, where I’d been doing a week long magic retreat with some colleagues in a private villa, so had already found out how the Asian humidity warped my decks of cards and made them much harder to use, so luckily I was already aware and I knew to handle them with extra care! This limited me slightly in the amount of different magic I could perform and have at the ready, as I’m used to having all of the pockets of a suit jacket, but I felt much cooler… both literally and in style, so I’m glad I left the jacket at the hotel the 2nd night! 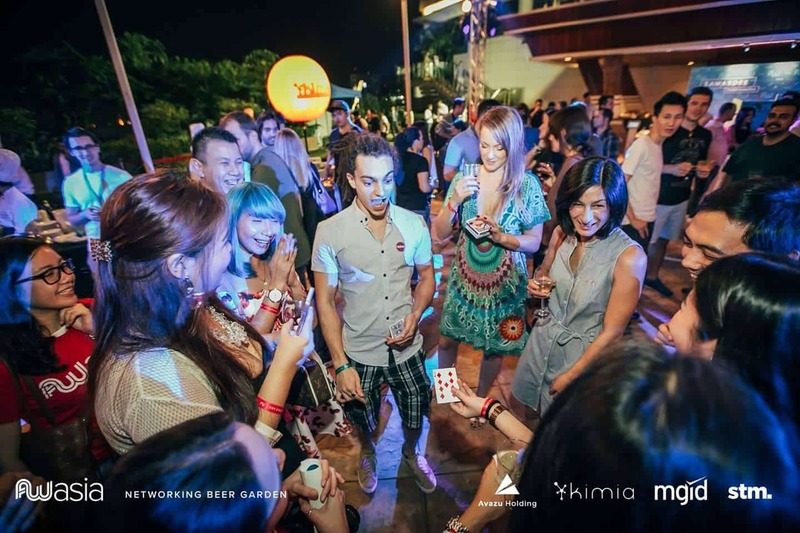 The feedback from AWAsia was fantastic and they really enjoyed having something different for their networking drinks parties! If you’re looking for entertainment ideas for your conference or event, no matter where you are in the world, please get in touch – I’ll be happy to discuss to see if I can help!